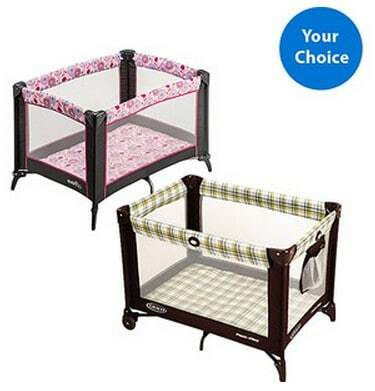 Select Cosco or Evenflo Playards are on sale for $39 at Walmart.com right now. That's a savings of up to $29! There are seven styles to choose from, so head over and find your favorite at a great price! Product details on one of the options is below. Shipping is FREE with Site to Store, or ship to home for FREE with $50+ order. The padded floor mat converts to Playtime Playmat with attachable toy bar to create a clean, safe play space for your baby. And when portability is necessary, the BabySuite Deluxe quickly folds and goes into the matching carry bag to make your travel a breeze.